Indeed, and many or most of those make some sort of vague claim to having Native American ancestry. AFAIK they don’t claim to be a POC, or allow themselves to be described as such by their employer. Yup. I have a friend who is visibly mixed American Indian-looking from that upland Southern white background (mostly). He’s allegedly 1/8 (“My pop had a squaw grandma”). He identifies himself as white while acknowledging American Indian ancestry. He thinks it’s ridiculous and stupid for him to identify himself as his 1/8 fraction when 7/8 of him are hillbilly white. Just thinks it’s a little cool he’s got some native in him. I ribbed him he’s making all that up, because he can’t track for the life of him. And he’s a terrible shot. she’s probably 2% native. wilbank is stupid. That may be, but I think at this point it’s pretty irrelevant whether she’s 1/32nd or 1/64th. Going from 1% to 2% might be twice as Indian. But going from 99% white to 98% white is what -1.01% change in whiteness? The more people argue over these minuscule numbers the more ridiculous her previous claims and masquerades appear. Even leftist pundits, stupid or no, find her silly now. I can’t believe she thought it’d be a good idea to publicize this. A granddaughter of the Cherokee chief John Ross, for example, could had the same proportions of White/Indian descent of Warren, no? 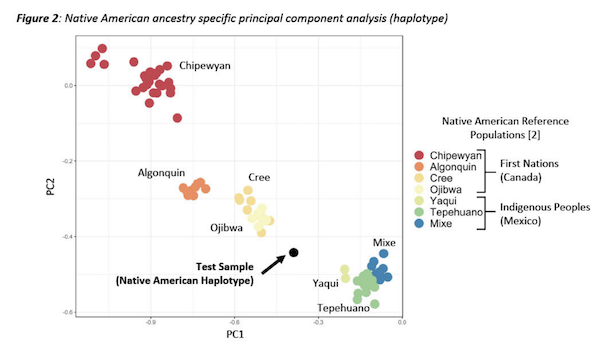 Amerindian admixture varies among Old Stock White Americans. The American South and Southeast have the largest biracial and triracial communities, like the Lumbees and the Melungeons, and it is largely through such communities that Amerindian ancestry has entered the White population. 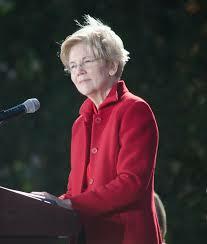 My impression is that Warren’s Amerindian ancestry is consistent with that of the average White Southerner. Seems to me like you used to be skeptical of Native ancestry claims among old-stock whites. What’s changed your views toward the idea that most of them had it or once did? Genuinely curious. And the DNA is, indeed, solid evidence … that Warren has at least one Indian ancestor between six and 10 generations back. Pace certain instant conservative critiques, this is legitimately interesting genealogy performed by a legitimate expert. (Would he have linked if Razib were still at unz.com? I kind of doubt it). Talking about generations here makes me think that we’re talking about these generations in kind of an abstract way rather than in terms of time depth. Mean generation time is about 25 years, so 8 gens before Elizabeth Warren’s birth is 1749 (or 1748 if pedantic about conception vs birth). Well before the American Revolutionary War… Even 6 generations is 1800. Of course the descendants of any Native American person then could well have been “socially” coded as Native for a number of generations after. Or equally not at all? If the descendants of this person at around 1749 were continually marrying White Americans with 0 NA ancestry generation after generation, and there’s serial dilution generation after generation, then wouldn’t we expect that its more likely that none of them had a Native identity at all? (Not salient by the time of her parents?). Real puzzle (if we wanted to puzzle over this question anyway) still seems how much % is typical for “Old Stock” Americans. Median of 0.18% for “White Americans” from 23&me is kind of not what exactly we’re interested in, as seems like certainly that median is lowered from later streams (the mass German migration of Drumpfs and so on etc). If she is within range for “Old Stock”, then the specific story she presented is necessarily less plausible (an “Old Wives Tale”) and segments could be from virtually any direction in her genealogy of >256 ancestors at 1749 (or more likely seems a summed combination of directions and not a single ancestry stream). Only using % assigned is the wrong way to look at it (as Razib states), you also have to take into account segment length. Assume two totally distinct populations A and B, and another population C that comes from a 25% A and 75% B mix a long long time ago. Does a person with 1 A grandparent and 3 B grandparents look the same? No, the C population will have many short segments mixed together while the mixed person will have very long segments of A or B origin (possibly entire chromosomes). As stated in the report, Warren’s longest NA segment is longer than every NA segment in the European ancestry reference group and its extremely unlikely that this comes from multiple genealogical sources. Seems silly for so many people on a genetics site to be this upset by the results. Don’t let your politics cloud your vision. Pure. Obfuscation. The media might have not have described the science correctly, but it certainly described very accurately Warren’s long-standing lapses in ethics, i.e. the misrepresentation of her ethnic identity as a PoC when, in fact, she’s overwhelmingly white in ancestry. The smear-job as such was self-inflicted. @D D, OK, point noted re: segment length, but isn’t it also impossible that you can get down to 0.4% from an unmixed ancestor in less than 8 generations number of generations? That is, you can have a person with 0.4% ancestry from A and 99.6% ancestry from B in 8 generations, and another with 0.4% ancestry from A and 99.6% ancestry from B where it happened 100 generations ago, and you could see this in segment length. That is, to bang on, the total % sets the “floor” for time depth (in generations) but it does not set the “ceiling”, and for the ceiling you have to look at segment length. If you have a person who is 1/2 Native Mexican and 1/2 Spanish, then you can look at segment length to see if mum was a Spanish and Dad was a Native Mexican and vice versa, or whether this happened hundreds of years ago…. but if you’re looking at person 1/8 Spanish and 7/8 Native Mexican its impossible that this admixture event happened any more recently than the great-grandparental generation (though it could have happened much more anciently!). As for the long segment, worth raising – I can’t say much other than that I don’t have a good feel for the probabilities for long segments to survive. If it’s merely improbable for a long segment to survive, but seems impossible to get down to 0.4% in less than 8 generations, I’d go for the improbable over the impossible. But I don’t know much about it. I’ve seen a little on ALDER and that usually has significant uncertainties on estimating how long an admixture took place, estimating from genome wide linkage disequilibrium and varying reference populations. I don’t know much about it (I only studied something about genetics at school 31 years ago), but, in theory, it is not possible (even if extremely unprobable) that I can inherit 0% of DNA from the mother of my father (instead of the average 25%)? After all, my father received 50% of the DNA of his mother and 50& of the DNA of his father; I received 50% of his DNA – but I think that is not obligatory that this 50% will be equally divided between his maternal and paternal DNA, no? In extremis (and in 1 in a ziliom probability scenario), I could had receivid ALL of the half DNA of my grandparent and NONE of half of the DNA of my grandmother; or no? Out of curiosity, how much Neanderthal did Warren have? Was it more than her Indian signal? Could her Neanderthal genes qualify her as a person of color who can write a cookbook of Neanderthal recipes and tell us how her grandparents were harrassed because of their proud Neanderthal ancestry and how she is the first Neanderthal professor in Harvard and the first female Neanderthal to run for president? Seems all too possible these days. I’ll wager that Jimmy Carl Black had a higher percentage of NA ancestry than does Warren. @Miguel: As I understand it, yeah, articles on the subject (I had a look to check my understanding) state it’s possible but *unlikely*… where unlikely is, with the characteristic terseness and understatement of many mathematically inclined people, quite possibly indicating a value of probability such that the expected value is that it does not happen once in a global population of 8 billion. (“1 in a zilion probability scenario”). I tried to check my understanding with a few simulation (read: made a spreadsheet). It seem like, even if you have generational inheritence where inheritance from a given grandparent is commonly swinging even between values as low as 16% – 33% (which my impression is likely to pretty outlying compared to reality! ), then this doesn’t actually change the picture of how many generations it usually takes to get down to 0.4%. In the vast majority of replicates, that’s still going to take about 8 generations to get to that number, and in some infrequent cases it may take 7. I’d prefer to have someone with a solid mathematical genetics grounding check all this though, ideally. There is no probable way her native American can be more than 1/128 if her percentage is lower than 0,5. To put that into perspektive, all Finns are more East Asian and many Spanish and Boer more Subsaharan than that. It proves she has some Amerindian ancestry, thats true, but a ridiculous amount. How she could identify so much with that drop of blood and even profit from this “minority status” just proves how sick white, Liberal America has become. If you have a white shirt with a miniscule black spot, can you sell it as a black shirt? One drop rule was never more of a joke than today. Yes, if you discuss race THAT way, its a social construct. 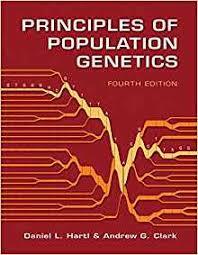 For being member of a group genetically, I consider about 50 percent the minimum. A lot of “black” and “Native” prominent people in the US dont achieve that. On the other side everything below 25 percent is just “admixture”. To identify more with that than the more than 3 quarters of whatever is a logical fallacy and can only be explained by personal advantages of some kind. And be it just psychological profit for a weak soul. Or (after having a look at Zimmer’s article) perhaps the probability is 1/8388608? Each of the 23 chromossomes that I received from my father is entirely from my grandparent of from my grandmother, or it is possible to inherit half of a chromossome from a grandparent and half from a grandmother? “There are 22 autosomes, so if there was no recombination that (a person could inherit material from a given grandparent) would happen with probability 2 x 0.5^22=4.7×10^(-7). But this probability is very much lower with recombination” (discussion about how to calculate allowing for recombination) “So the probability that your mother fails entirely to transmit any autosomal genetic material from a particular grandparent to you is 1.3×10^(-29), and your father does this with probability 4.2×10^(-22)” (hence low enough probability that wouldn’t be expected to occur even once in in 7.6×10^(9) world population). I can’t see that it’s got anything to do with how Native American you are. I’ve been researching my family history and found an old story of ancestors born from fur trader men and a Native American woman (Powhatan according to the story). I’d like to know if it’s true or not. It’s definitely an old story as I have found records of a relative born in the early nineteenth century being given the first name Powhatan: something which attests to a pride in these origins that I find interesting in those pre trail of tears days. Whether it’s the truth or not, it doesn’t make me Native American to any degree. If it’s true it simply makes my someone with a Native American ancestor a long way back. I understand that Elizabeth Warren’s circumstances are rather different in that the question of whether there was Native American ancestry in her family played a more significant role in the recent history of her family. But I’m still flabbergasted that this matter (the question of whether someone has an indigenous ancestor a long time ago) has become something with any political significance. She published recipes in an Native American cookbook under the signature of a tribal member, she was listed as a “woman of color” at her university, which might have helped to boost her career and she seems to overidentify with that drop of blood in a way, which even might have influenced her political standpoint on societal politics, “minority issues” in particular. So its not about that ridiculous amount of Amerindian ancestry she might have per se, or that she tried to prove it, but about how she dealt with that drop of blood throughout her whole biography. It just smells “anti-white”, misandric and “anti-conservative” and that’s what she is about. Another person with a different attitude which is half-Native or even fully Native would be much more welcomed by most people right of centre, even if they have ethnocentric “white” positions, than someone like her. Her ideological point of view seems to color her personal identity and vice versa. Like so often, its about how you deal with it, rather than the factual issue itself. But I’m still flabbergasted that this matter (the question of whether someone has an indigenous ancestor a long time ago) has become something with any political significance. This is exactly the type matter that can have great political significance. Political activity is not reasoned and informed debate. Political activity is about obfuscation and spin and gaining partisan advantage. Political activity is about obfuscation and spin and gaining partisan advantage. That’s politics in the Age of Decline. When you are a rising power, politics is often about harnessing the passion of the people to overcome the next frontier and, in the process, make your nation great. 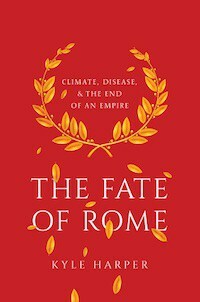 But in a falling empire, politics is all about putting your boot on the other team’s neck, some version of routing the opposing mob at the chariot races… all the while the limes crumble with onrushing barbarians. This is what I still try to make myself believe, but everyday convinces me that I was just naïve in my earlier view.